Barça Lassa were victorious against Arenys de Munt in a 3-9 win away from home on Sunday, controlling the game from start to finish. The win returned the team to the top spot in the OK Liga. Pablo Álvarez was one of the standouts for the side. He grabbed two goals in just two minutes, putting his side 0-2 ahead seven minutes in. Whilst there was a spell in which the game was more evenly matched, Álvarez completed his hat trick as he blasted the ball past the opposition goalkeeper. Just before halftime,in the 23rd minute of play, Arenys won a penalty -saved by Aitor Egurrola as he denied Jordi Illa on both the initial shot and the follow-up attempt. The second half saw things go further in Barça Lassa's favor. Pablo Álvarez added two further goals to his tally, sandwiching a goal from Arenys' Marc Roca. 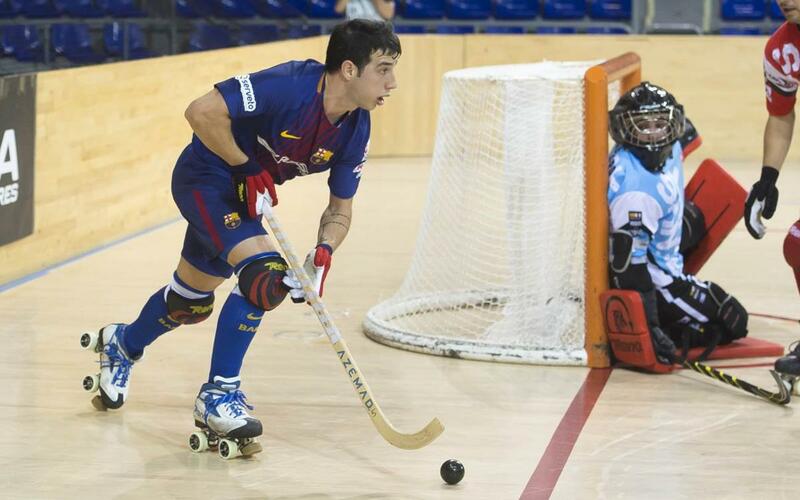 Barça Lassa remained the dominant force, however, and Marc Gual and Xavi Barroso took the score to 1-7. Barroso had a penalty saved, but before the end there were to be further strikes from the away side: Pau Bargalló made it 2-8 after an Arenys goal, Álvarez got his 27th of the season, and Jordi Pérez took the final score to 3-9. The team now lead the table once more, with rivals Liceo having lost to Vendrell away from home.